Yeah Samaké, the Mormon candidate for president of Mali. He’s running for president of Mali. Courtesy the Samake 2012 campaign. He has a politician’s quick smile and looks like he was born to wear a suit. He has a beautiful wife and picture-perfect children. His ancestor’s name is plastered on buildings all over his family’s hometown. He went to Brigham Young University. He has executive experience in both the private and public sectors. He’s a Mormon, and he’s running for president. But his name is not Mitt Romney. It is Yeah Samaké. He’s the reformist mayor of Ouéléssébougou, a city of some 35,000 residents in the southwest corner of Mali. His anti-corruption policies have made that city a model of civil engagement, and this April Samaké expects to be elected president. If that happens, Yeah Samaké will be the first Mormon head of state in the world. Mitt Romney’s emergence as the front-runner for the Republican nomination has been a mixed blessing for Mormons. It has led to unprecedented interest in the LDS Church and its members, but the dominant image of Romney—too wooden, too rich, too secretive about his faith, too white—has reinforced existing stereotypes about members of the faith. Some Mormons, including a few conservative ones, hope Romney is not elected, since a defeat would end the ceaseless questions about Mormon baptisms for the dead, Mormon tithing, Mormon racism, and so on. But who is Yeah Samaké? How did he end up professing a faith that for years would not have allowed him—or any black man—to fully participate in its practices? And how did a Mormon end up running for president in a country that is more than 90 percent Muslim? Landlocked in the deserts and plains of West Africa, Mali is one of the poorest countries in the world. The average Malian makes $3.50 a day. The average Malian is illiterate. The average Malian won’t live past the age of 52. Yeah Samaké is not the average Malian. The great African-American scholar and political activist W.E.B. Du Bois would describe him as a member of the “talented tenth”: The one man out of 10 who, through pluck, education, and direct engagement in social change, can rise out of abject poverty and become an international leader of his race. This hunger was part of the family’s sacrifice towards a greater cause. In a dream, Samaké’s father, Tiecourafing, had received an “inspired vision” that his children would not live lives focused solely on finding the next meal. And so, Tiecourafing did not send Yeah or his brothers and sisters into the fields to farm, as most people in the Koulikoro region of Mali do. Instead, “my father sent us all to school to get an education, to end the darkness of illiteracy so we could live lives of integrity and service.” This was a radical decision in a region of the country where, Samaké estimates, only 15 percent of the population receives any formal schooling. Today, Yeah Samaké counts veterinarians, engineers, college professors, teachers, and doctors among his siblings. And though the Samakés have always been prominent in Ouéléssébougou—Yeah’s paternal ancestor, Ouelessee, established the community in the 19th century—their educations have made Tiecourafing’s offspring the core of a small, but growing professional class of Malians in the region. While all his siblings have followed their father’s mandate to dedicate their lives to “integrity and service,” Yeah Samaké has perhaps interpreted that mandate the most literally. After receiving his B.A. 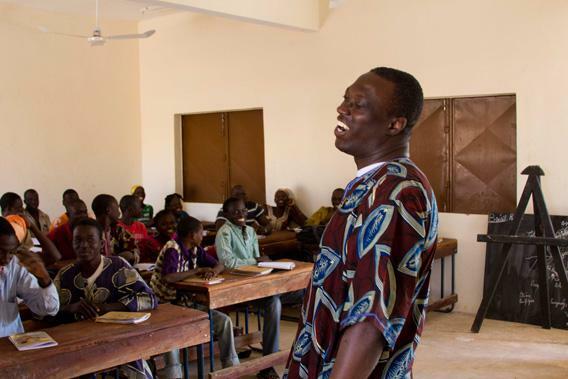 in English from the École Normale Supérieure de Bamako in the nation’s capital, Samaké returned to his hometown, where he worked unpaid as a teacher for three years, supporting himself by acting as a guide and interpreter for the U.N. and the Peace Corps. He also worked for the Ouéléssébougou-Utah Alliance, an organization founded by Utahans in 1985 to partner with local Malians to improve heath, educational, and economic opportunities in the country. This brought him in contact with a Mormon couple from Colorado, Jeff and Gretchen Winston, who were impressed by Samaké’s work ethic and his devotion to his community. The Winstons eventually sponsored Samaké to come to the United States to further his education. At BYU, he earned a master’s degree in public policy and served as president of the Black Student Union. During this time, Samaké fell in love with Utah, a state that he considers his “second home.” He also fell in love in Utah when he met Marissa Coutinho, a BYU undergraduate from India. The couple converted to Mormonism, married, and settled in Utah, where they began raising their two children. In 2004, Samaké started the nonprofit Mali Rising Foundation, dedicated to building schools and training teachers to expand the educational opportunities for Mali’s poorest children. As with the current U.S. president, community organizing was a stepping-stone toward a career in politics. 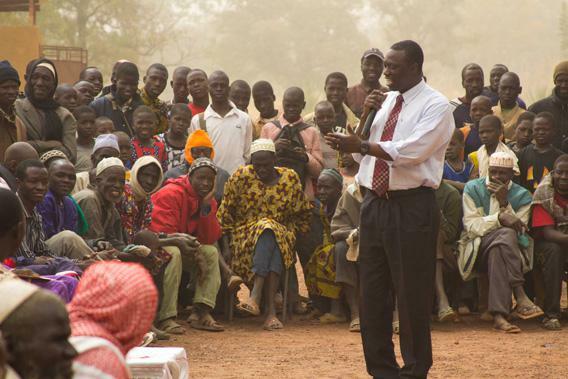 In 2009, after he was elected mayor of Ouéléssébougou, Samaké relocated his family to Mali. Samaké says that his predecessors treated the governmental coffers like their own personal ATMs—and since no one trusted that government revenues would go to the common good, less than 10 percent of the population paid their taxes. Ouéléssébougou was ranked 699 out of 703 communes (groupings of tribal villages) in Mali for governmental management and transparency. Two years into Samaké’s tenure as mayor, the city now ranks in the top 10 in the country, with a tax collection rate of 68 percent. This has spurred a construction boom, with new schools and health clinics springing up throughout the region. As Yeah Samaké tells the story, at least, his run for the presidency was not planned. 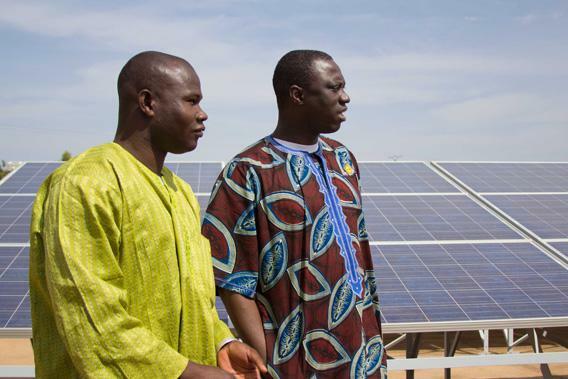 Last January, Mali’s current president, Amadou Toumani Touré, came to Ouéléssébougou to dedicate a new solar-panel field. During his introductory remarks, Samaké went off-script. He was inspired, he says, to call out the president for his failure to adequately respond to the needs of the Malian people. Samaké told the president that the only way to stamp out corruption would be to follow Mali’s constitutional mandate to decentralize power and to engage local leaders in solving the problems of their own communities, as he has done in Ouéléssébougou. Samaké’s brazen challenge to the president’s leadership impressed some of the young Malians in attendance. They approached the mayor after the ceremony and urged him to run for president. According to his own wife, however, Samaké’s desire to run for president is not a recent development; he has, she says, harbored presidential ambitions since at least their days at BYU. And it is his Mormon “brothers and sisters” in Utah as much as his Malian compatriots that have made his campaign possible. His top campaign advisors, Patrice Pederson and Kent Potter, are members of the LDS Church with strong political and marketing backgrounds. Pederson told me that most of Samaké’s 13 competitors for the presidency “use money they’ve embezzled from the government.” As a protest candidate running against such abuse of “the people’s money,” Samaké has had to find other sources of income. 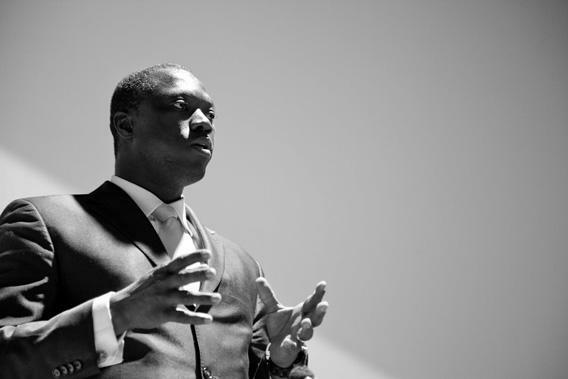 With the help of his well-connected advisors, Samaké has made frequent trips to Utah and called on potential Mormon donors in New York and Washington, D.C.
And Mormons seem enthusiastic to support one of their own. Samaké’s campaign has received extensive coverage in official and unofficial LDS publications. 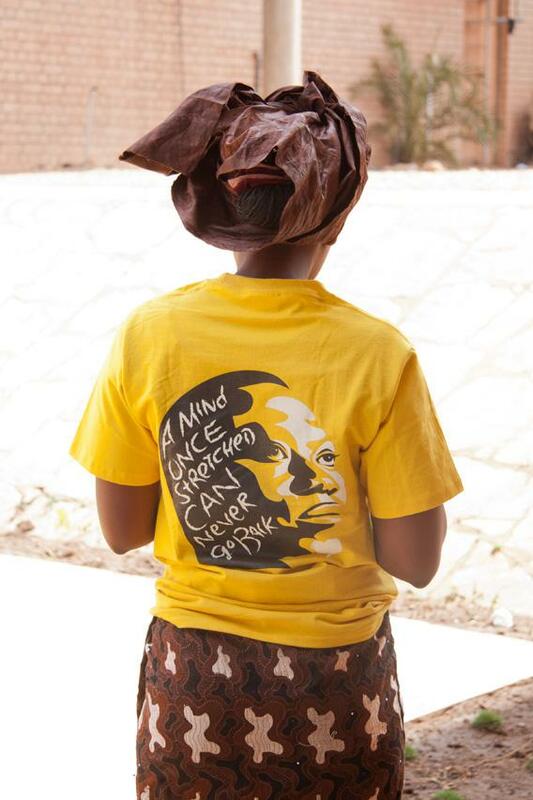 At a recent visit to a gym on the University of Utah’s campus, two young women sported bright yellow “Samaké 2012” T-shirts. At a rally at Utah Valley University this past December, some 400 people showed up to hear Samaké discuss the “miracles” that transformed him from a poor starving child into the self-proclaimed “front-runner” to be Mali’s next president. After the rally, volunteers passed around a campaign hat that quickly filled up with $10 and $20 bills. A source within Samaké’s campaign told me that he has raised tens of thousands of dollars, mostly from Mormon sources. Samaké’s story reflects the great efforts the LDS Church has, over the last 30 years, put into both humanitarian and missionary work in Africa—a continent that, before 1978, the Church largely avoided. Since the mid-1800s, church leaders had taught that blacks were not spiritually worthy to enjoy all the benefits of the Mormon gospel. In 1978, then-president of the church Spencer W. Kimball announced that he had received a divine revelation extending the Mormon priesthood to “all worthy male members of the Church … without regard for race or color,” though the previous teachings of the Mormon church have never officially been repudiated. The white Mormon embrace of a black African can also, at times, feel a bit awkward. At the Utah Valley University rally in December, Douglas Jardine, introducing the candidate, enthusiastically shouted, “Smile for us, Yeah!” The naively patronizing request highlighted that Samaké appeals to some Mormons primarily for the attractive image of modern Mormonism that he projects—not for the kind of president he might become. How likely is it that Samaké actually becomes president? 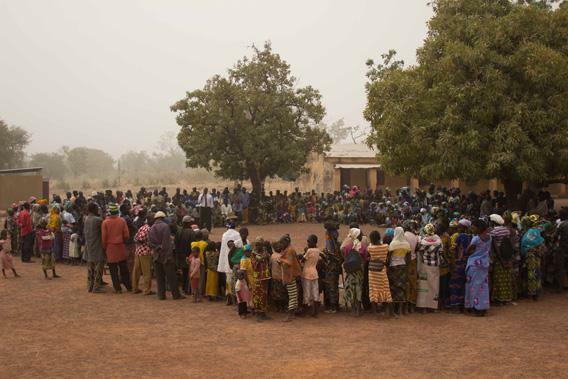 There are no tracking polls taking Malians’ political pulse on a daily basis. Using other metrics, however, Samaké’s claim to front-runner status seems not without some merit. Because his campaign’s major plank is the decentralization of power to local governments, Samaké has received endorsements from a sizable number of Mali’s mayors. His candidacy has also received a fair amount of media coverage in Mali. According to Patrice Pederson, this coverage has arisen out of an organic interest in Samaké’s protest against the status quo of incompetence and corruption (in contrast to the publicity for Samaké’s opponents, which, she says, is bought and paid for). Even if religion has nothing to do with his campaign, however, a safe and stable Mali with a Mormon head of state would likely have a massive impact on the LDS Church’s stature in Africa. One could imagine an LDS missionary training center being built in Mali, to train African-born missionaries who would proselytize across the region. A temple might be welcome, too, allowing the growing number of Mormons in Africa to travel to the country to perform sacred rituals. Mali could even become a tourist destination for American Mormons. This all seems possible because it would be in Mali’s national self-interest, as well as the interests of the LDS Church. And that is without even mentioning the great public relations coup Samaké’s election would represent for Mormonism. When asked to answer for its historical sins of excluding people of African descent, church authorities could point to Yeah Samaké as evidence that the Mormon racist past is history. In fact, if Samaké becomes the first Mormon elected president, that might ease the path for Mitt Romney—whose own campaign has been dogged by accusations that he belongs to a racist church—to become the second.